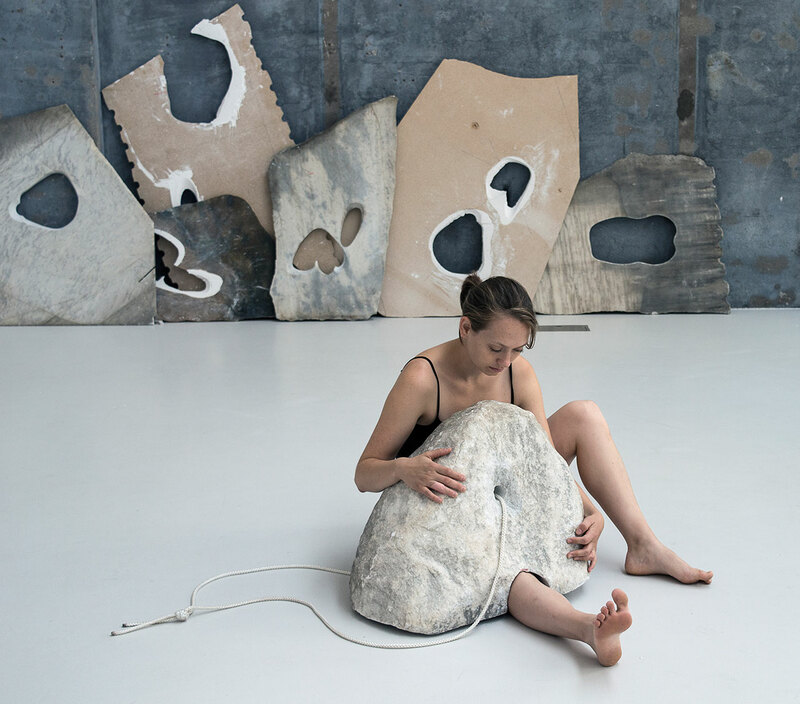 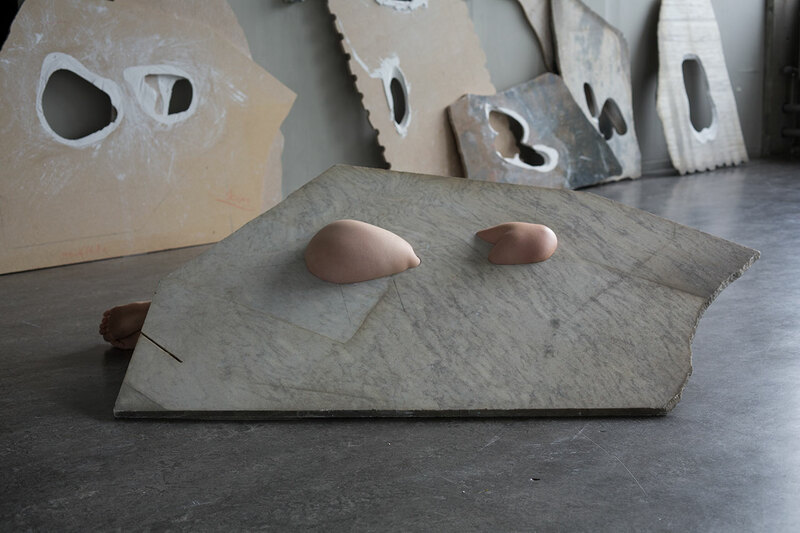 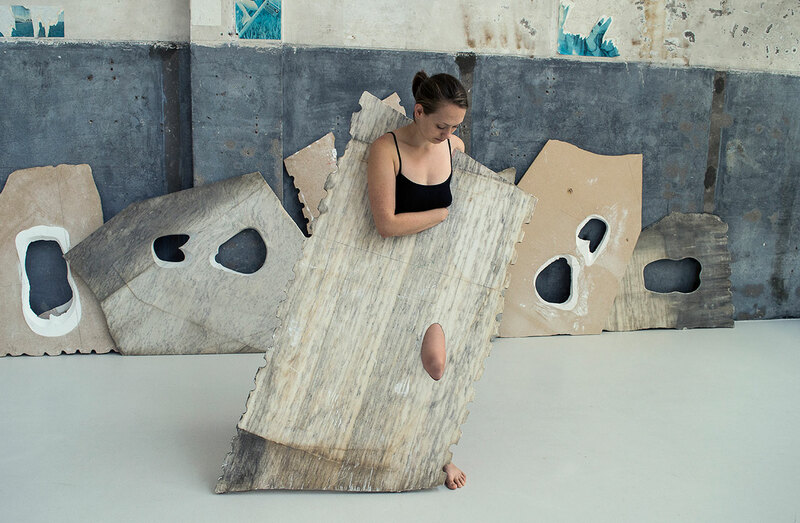 In asking “When do structures inhibit or liberate us and our physical form?” and “What is the consequence of the fact that our bodies are always ‘filling space’?” Milena Naef gives us the chance to seek an answer through her art. 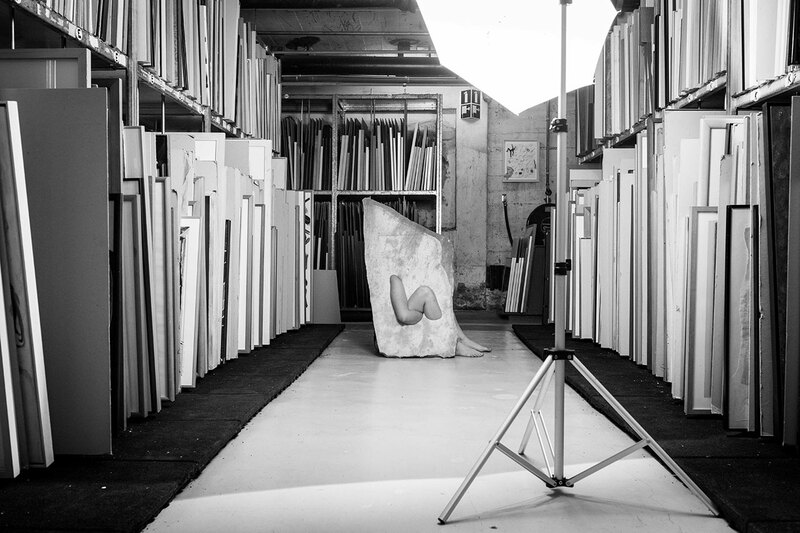 Take the standing marble block - one of the pieces that somehow resembles an ancient Greek or Roman theater seat. 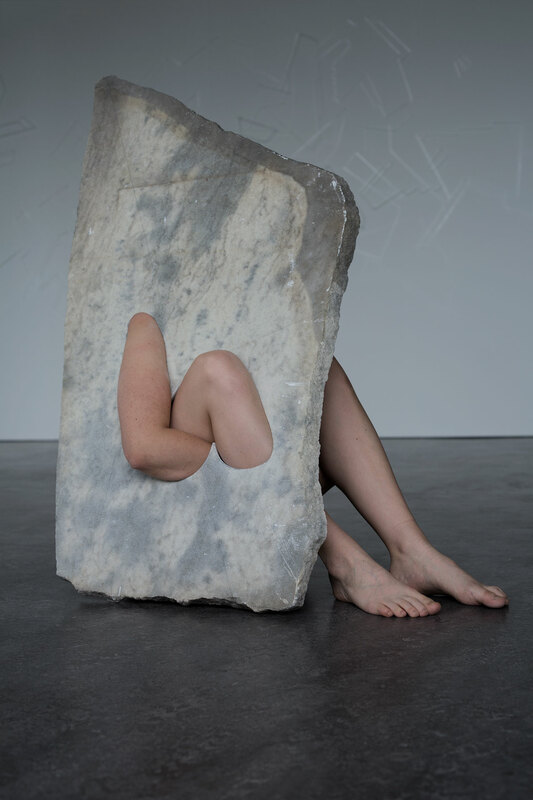 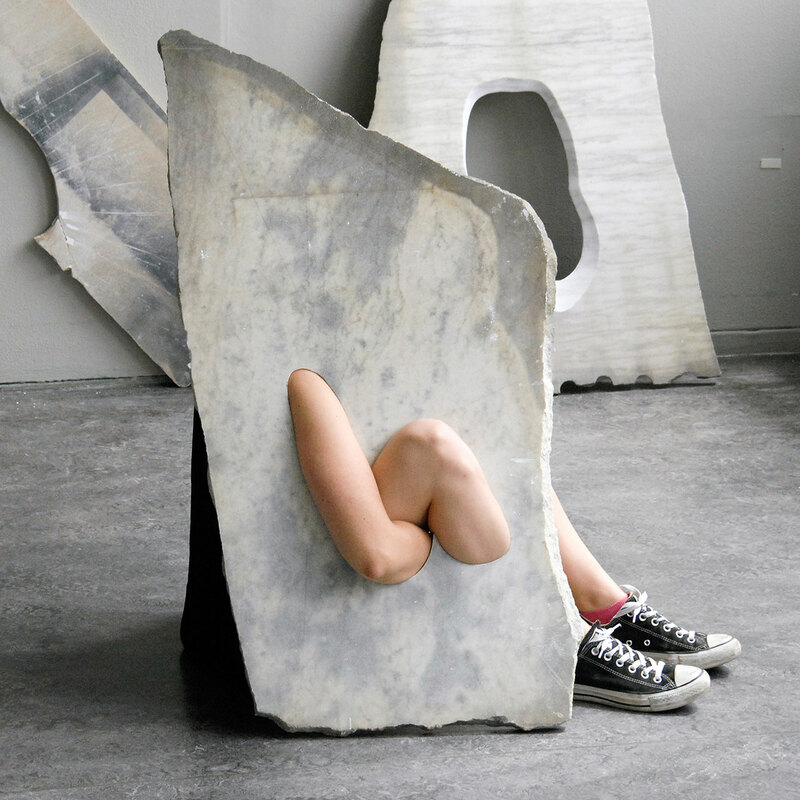 It would be just a block of dressed stone except for Milena’s flesh poking through it, becoming part of the sculpture. 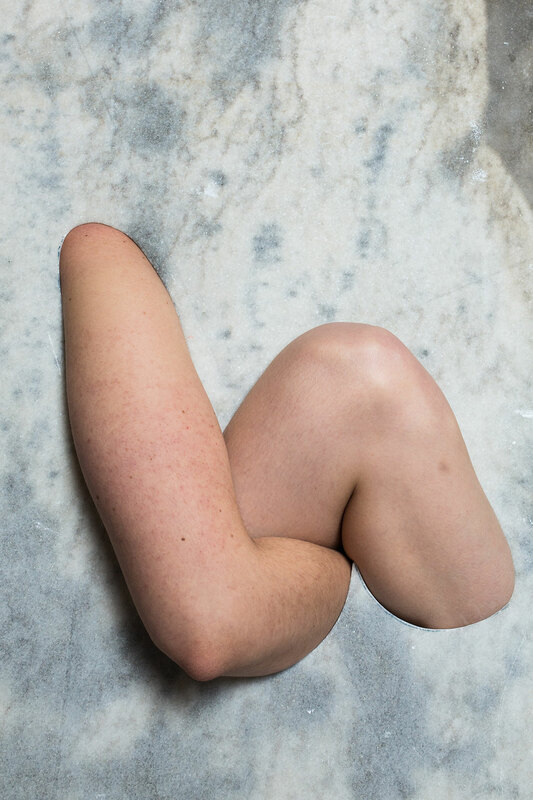 Her right upper arm, elbow, and knee “wear” the marble around her, like a garment - or is she the garment to the marble? 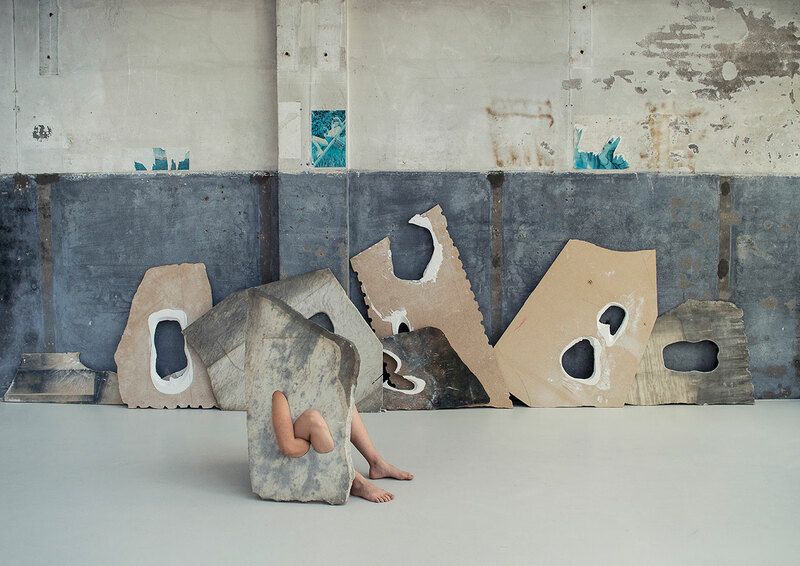 - while her right foot and left leg and foot casually extend out so that her feet are both flat on the floor like a person sitting on the ground and casually watching time pass. 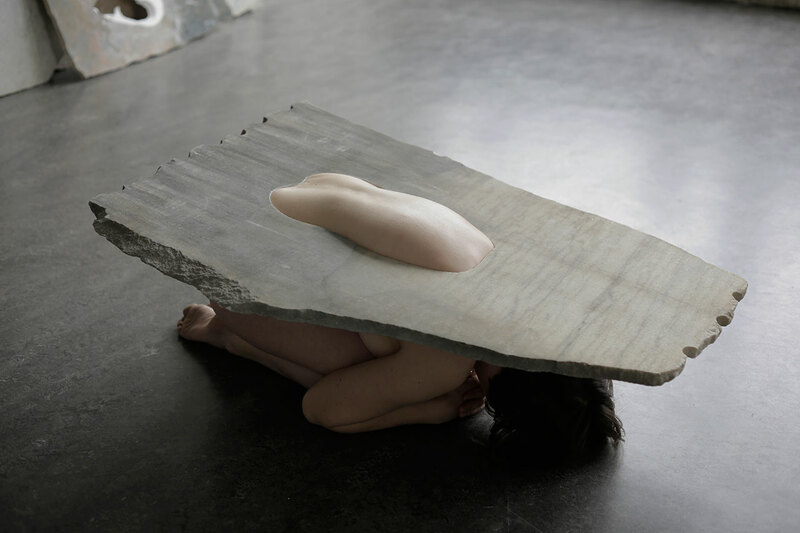 Time does pass; but not so fast as to “outchange” the physical stone of which she has become a part of.